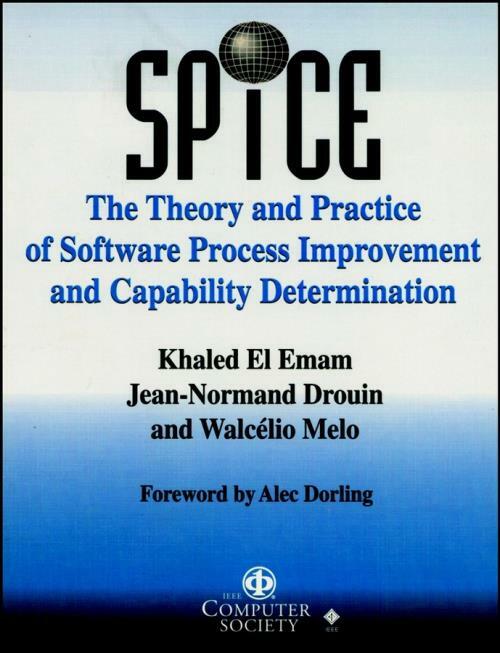 The SPICE (Software Process Improvement and Capability dEtermination) Project is a joint effort by the ISO and IEC to create an international standard for software process assessment. This book covers both the theory of SPICE and its practical applications, including the lessons learned from the SPICE trials. It includes a valuable automated tool on CD–ROM to help you apply the concepts presented in the book. The text shows the evolution of the most recent developments in the SPICE project. It documents the major products and the empirical evaluations that have been conducted thus far. The book is jointly written by the key experts involved in the SPICE project. The theory chapters describe the rationale behind the architecture and the contents of the V1.0 and V2.0 document set and how to interpret them. The remaining chapters describe the applications and how that make use of the theory behind them. Chapter 1. Introduction to Software Engineering Standards (Francois Coallier and Motoei Azuma). Chapter 2. Introduction to SPICE (Jean–Normand Drouin and Harry Barker). Chapter 3. Introduction to the SPICE Documents and Architecture (Terry P. Rout and Peter G. Simms). Chapter 4. The Reference Model (Alan W. Graydon, et al.). chapter 5. Process Assessment Using SPICE: The Assessment Activities (Antonio Coletta). Chapter 6. Process Assessment Using SPICE: The Rating Framework (Mac Craigmyle). Chapter 7. The Assessment Model (Carroline Buchman and Helen Thomson). Chapter 8. Guidelines for Process Improvement (Pascal Jansen and Joc Sanders). Chapter 9. Guidelines for Determining Supplier Process Capability (John Hamilton). Chapter 10. Qualification and Training of Assessors (Alan Davies and Alastair Walker). Chapter 11. A Comparison of ISO 9001 and the SPICE Framework (Victoria A. Hailey). Chapter 12. Introduction to the SPEICE Trials (Fiona Maclennan, et al.). Chapter 13. Empirical Evaluation of SPICE (Khaled El Emam and Dennis R. Goldstein). Chapter 14. Analysis of Assessment Ratings from the Trials (Ian Woodman and Robin Hunter). Chapter 15. Analysis of Observation and Problem Reports (Peter Marshall, et al.). Chapter 16. Interrater Agreement in Assessment Ratings (Khaled El Emam and Peter Marshall). Chapter 17. Using SPICE as a Framework for Software Engineering Education: A Case Study (Val E. Veraart and Sid L. Wright). Chapter 18. Assessment Using SPICE: A Case Study (Jean–Martin Simon). Chapter 19. The Future pf the SPICE Trials (Robert Smith). Appendix A. SEAL of Quality SPICE Assessment Tool. Appendix B. Strathclyde Process Visualization Tools.